Elmelin specialise in innovative microporous high temperature insulation materials, designed to give superior performance in all conditions. The Elmtherm range provides excellent thermal insulation characteristics, when combined with various materials or used on its own. 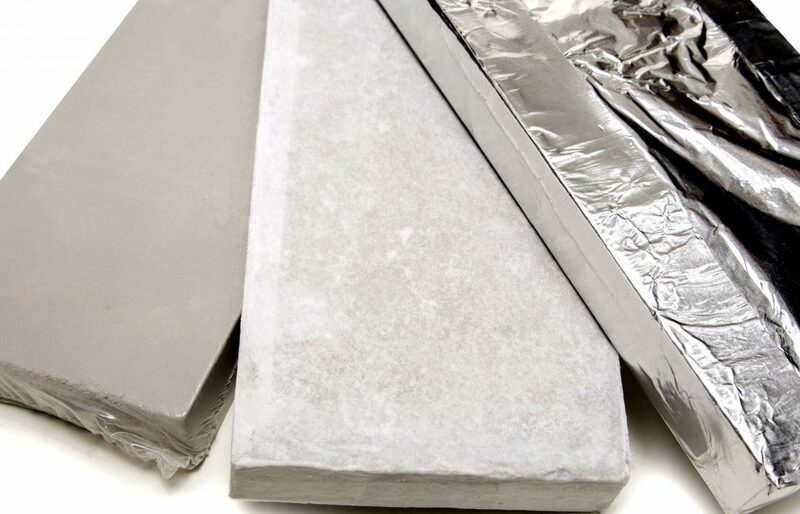 Our microporous insulation sheets are lightweight and space-saving, and we offer different grades of Elmtherm, providing you with more choice. We have developed this product range through working with our customers and gaining a thorough insight into, and understanding of, the issues they face. Microporous high temperature insulation is based on separation technology. This involves small particles of dispersed silica creating micro-pores with diameters of less than 2nm (nanometres). The resulting sheets combine a porous structure with a low density, reducing their heat conductivity. Microporous high temperature insulation blocks these three modes of heat transfer: conduction, convection and radiation. Elmtherm’s microporous makeup minimises contact between molecules, reducing energy transfer from one molecule to another, and therefore reducing heat transfer due to conduction. There is also less convective heat transfer, as Elmtherm’s microporous structure creates trapped air pockets that are smaller than the free pathway of air, which would normally transmit heat through the material. Finally, this insulation also incorporates infrared opacifiers, which will reduce the amount of heat transfer from radiation. Elmtherm enables operators to maximise their volume, while offering considerable energy savings and reducing their carbon footprint. It offers an impressive return on investment through its reduction of operating costs for furnaces, and is quick and easy to install, due to its lightweight nature. Besides saving on weight, space and energy, microporous insulation also has superb thermal stability, which means it enables better control of operating temperatures, bringing more consistent results. Elmelin’s microporous high temperature insulation material comes in four grades, with the thickness of each determined by the required heat transfer capabilities and the lining applied. Adding mica to microporous insulation material improves heat shielding against the hot face and enhances its compressive strength. Elmtherm 1000 – SiO2 and SiO4 microporous composition, able to temperatures up to 1000°C maximum. Thickness between 3 and 50mm. Elmtherm 1100 – SiO2 and ZrSiO4 microporous composition, able to temperatures up to 1100°C maximum. Thickness between 3 and 50mm. Elmtherm 1400 – this is a composite which uses specially designed ceramics as a heat shield. It can withstand temperatures up to 1400°C maximum and perfectly balances thermal conductivity with heat resistance. Thickness dependent on application. Elmtherm 1600 – this composite also uses special designed ceramics as a heat shield. As our premium microporous insulation product, it can withstand temperatures up to 1600°C maximum. Thickness dependent on application. For ease of installation, the Elmtherm range comes as single sheets, with widths of up to 610mm and lengths up to 1000mm. Elmtherm’s versatility means it lends itself to a range of applications, for different sectors and industries. In the foundry and steel industry, Elmtherm is used to line ladles, allowing them to hold molten metal up to intense temperatures of 1650°C, increasing their capacity. This, in turn, boosts furnace productivity while taking down production costs. Elmtherm can increase ladle volume by 10% and offer a 50% improvement in energy efficiency. For tundishes, Elmtherm enables extended operations and continuous casting, providing both refractory and backup insulation. It can reduce insulation thicknesses by 28mm, while lowering heat loss by some 40%. At the same time, it increases usable volume in the tundish. In aluminium launder systems, Elmtherm optimises the movement of molten aluminium from smelter to casting, while minimising heat loss and reducing the need to superheat the metal. For melting furnaces, the use of Elmtherm as insulation helps ensure product quality through the even distribution of heat. It extends the furnace’s life and offers energy savings through a 30% heat loss reduction. When compared to fibre board, its insulation is half the thickness, therefore increasing heating efficiency. Elmtherm is also used in kilns and rotary kilns, in tunnel and reheat furnaces, and to line petrol and chemical tubes. Could Elmtherm be your high temperature insulation solution? Contact us today to see how we can help you.